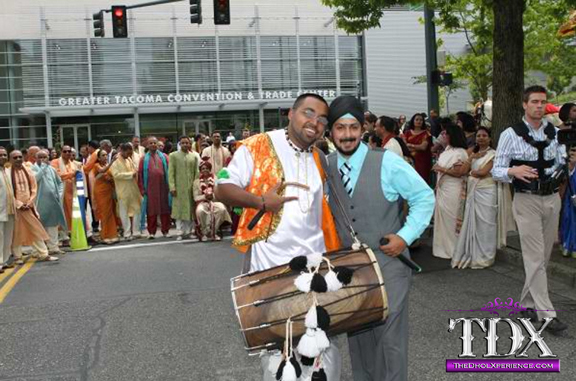 Fully dressed in Bhangra costume our Dholi will give the baraat a true traditional feel as he leads the way to the entrance and even walks the groom down the aisle to the mandap for a complete grand entrance. He'll pump up the energy as he mixes up live beats to cater to the guests and your cultural background. Depending on your cultural background we can play North Indian Shenaai, South Indian Nadaswaram, or Fusion American music to fill in those empty silence gaps. We’ll play an entrance song for the groom along with live dhol, and an entrance song for the bride as she walks down the aisle. Also included are two wireless microphones including a clip-on lavaliere for Pandit/Officiant so everybody can hear the recitals loud and clear from our sound system. We can either do a traditonal sad or happy vidaai (farewell) as the B&G and guests exit depending on your preference. Can’t dance to only dhol beats? Then our DJ will defiantly get those feet moving! Depending our your taste in music we'll play non-stop hits and MC on the mic to not only control the crowd, but to motivate them and make sure all their hands are in the air as the Groom celebrates his last minutes of singlehood! Take your entrance to another level with this 21st century horse. Sit and dance in the middle with the top down as your own personal driver brings you in. 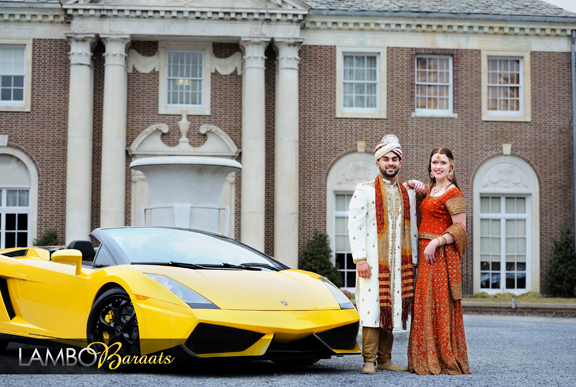 A perfect blend of modern and traditional for a unforgettable wedding!